Despite appearances, the Stone-Age engraving shown below is not a free-hand drawing.. With revealing accuracy, it's constructed to exact ideas. It's to be treasured as a direct proof of profound knowledge of Mathematics, playfully encoded into Art 14,000 years ago. A shrewd eye espies constructionism through the engraving's pseudo-naive facade; indeed, there is a hermetic level to be found, bursting with mathematical meaning. It is a masterpiece of cryptographic Science-Art. Though submerged in great depths of time, it emerges as a major factor in the modern era ; it is precedent to many actual topics of interest and forces conclusions in dramatic contrast to the Mainstream History. Imbued in science and power, the portrait of the young lady seems backlit by a divine glow, thus, when trying to think of a name for the girl, after consideration of several pantheons, I chose to call her Athena. The engraving then takes its name from her. Already minutes after I had first laid an eye upon the image, viewing it became adventure which was later to turn into a discovery. It was so ancient, yet somehow sophisticated. I could feel it; the engraving was whispering strangely at the thresholds of my perception. Eventually, my philosophical approach to art analysis had struck the vein of advanced prehistoric mathematics. Knowledge of the engraving's basic geometry, had positioned my efforts for an unexpected windfall; the solution to "Nazca Monkey", the giant glyph of a monkey from the Nazca Lines, Peru, became a low-hanging fruit, for it advertizes the same (basic) geometry. Indeed, both Science-Art works arise from the same exact construction in creating a common template (the Seal of Atlantis). From there, they continue with different ideas but in the same spirit. The odds against such replicating by one of the other by accident are cosmic; therefore, if the engraving and the monkey are rule setters, then La Marche engravings and Nazca Lines are both authored by one and the same agency (onwards - the Agency). You be the judge: Should this ironclad fact be considered newsworthy? 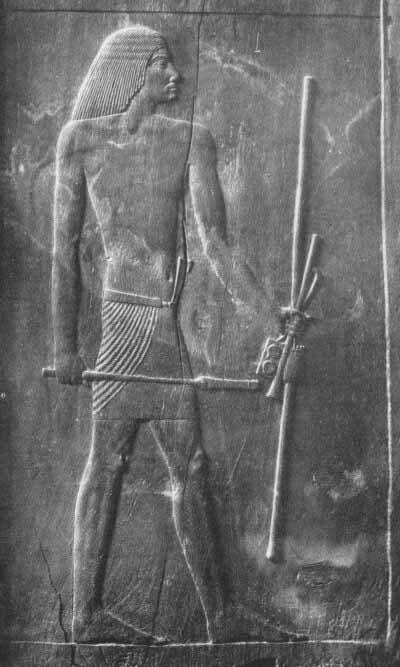 Thereafter, the internet controversy over the so called Abydos Helicopter from the Abydos temple of Seti I and Ramses II drew me in; subsequent analysis indicated that these glyphs do not constitute a so called palimpsest, but instead, they are constructs of an exact nature at whose birth had stood the Golden Section. That gives credit to the idea the anomalous glyphs had been engraved as we see them today. It's only natural to suppose that the same above mentioned agency could be involved in their creation, as well... So, quite a few people now credit the "Abydos Helicopter & the Golden Section" study with providing compelling evidence of the official archaeological explanation, the Palimpsest theory, being wrong. It garners the attention of a steady stream of readers, sometimes peaking in thousands of hits per day, as someone somewhere stumbles upon it and publishes a link. It is most popular among my webpages. 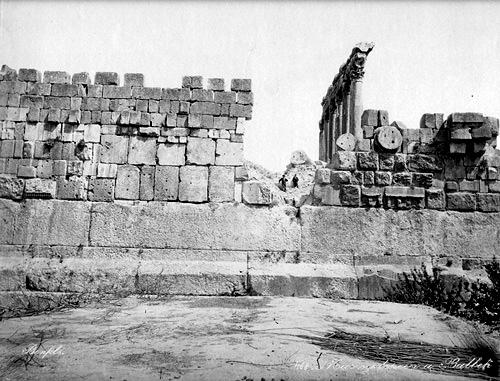 The only other well frequented article on my site is about the "Baalbek Trilithon", which proves that the trilithon wasn't built by Romans. The Abydos Helicopter experience had spiked my interest in another controversy regarding ancient Egypt - Was there a common ground plan for the three great Giza pyramids? To my surprise, I was able to document that the ground plan, as measured by Petrie, can be derived from the fastest construction of the regular five-pointed star (it takes only thirteen steps). That was an astonishing development, for the same method is rather heavily featured in the Athena Engraving, and it culminates the concept of the Nazca Monkey! These three premodern instances of the method are still the only ones I had ever come across; it seems that everybody else chooses other alternatives in modern times! The Exact Reconstruction of the Layout of the Great Giza Pyramids presents an academic effort whose virtues may be objectively weighed against the rest of the field. In other cases my research ran a one-horse race; here, it ventured into a problem, which has been worked on by many ever since 1883. Leading such a distinguished field with a convincing solution, which cannot be beaten in accuracy, must earn some brownie points, for instance with readers doubtful of my work's mettle; so, the Giza layout article would be a good starting point for getting to know it. The "Frame", the outer boundary of the image, is the doorway to the realm within and presents some dynamic geometry and meaningful numerical maeasurements. It is also a very good place to start reading for its concept is clear and simple. Over and over, it invokes Pi and Phi to a varying number of significant digits until there is no doubt in one's mind that it's meant to do that. All in all, it is no doubt disappointing to see readers not paying much attention to the mutually connected and thusly most important parts of my research - the Athena Engraving, the Nazca Monkey, and the Giza site plan. On the other hand, the popularity of the relatively simple articles on the Abydos Helicopter and the Baalbek Trilithon is somewhat encouraging that all is not lost yet. Since 1883, the year Sir William Flinders Petrie published his geodetic survey of the three great Giza Pyramids, the data has been analyzed for geometric, and numeric significance. To show that the three pyramids are parts of the same plan, there have been attempts to generate the layout of the three from pure ideas. By and large, Giza abounds with inspiring relationships. But, to safely pin ideas on the designers, those have to be built in with compelling accuracy. There are many examples showcasing the knack of Giza builders for accuracy, setting high standards for us. This study presents a method of replicating the site plan of the three pyramids exactly to Petrie's specifications when the results are given to the tenth of an inch (2.54 millimeters). On average, my reconstruction differs from Petrie by just a little over a quarter millimeter, so there is plenty of room to spare and still be on the mark. Usage of Sacred Geometry would seem most appropriate for the sacred grounds of Giza. This study complies beautifully, as it sets out with the most elegant Golden Section construction of all. How glad will the skeptically leaning academy be to hear of this development? Not very, I suspect. There are several versions of the above columns of the widths W-Z and A-B. Their substitution for one another is instrumental in establishing the exact position of the Great Pyramid, and the center of the Second Pyramid. If the groundplan of Giza is 15,000 years old, how old are the pyramids themselves? The pyramid temples are conspicuous by the inordinate quantity of golden rectangles in their layout. This article is content to establish the fact, and goes no deeper. If this were modern art, we'd have no doubt that it clearly shows a helicopter next to a stacked formation of three harder to identify advanced craft. Disavowal stems strictly from the fact that this art is over 3,000 years old, and we know that there was no advanced technology and science in our misty past - don't we? The scene had caused some sensation in the nineties, but soon Egyptologists claimed to have identified at least two sets of overlapping hieroglyphics in it. This proffered a simple scientific explanation: What we see is a palimpsest, i.e., an accidental illusion. First there had been some original glyphs, which were later hidden by plaster, and replaced by a set of different glyphs engraved partially in stone and partially in plaster. Eventually, the plaster had crumbled out, and the overlapping hieroglyphs began looking like images of modern craft.. With this simple explanation, science had prevailed once again over sensationalism, it would seem. The present scientific consensus depends on the assumption of Chaos as the creative force behind the Abydos Helicopter scene. To thwart the consensus, and to disprove the Chaotic explanation, it must be shown that the glyphs obey a clear rational order. Simple testing does indeed lead to such a conclusion : The Abydos Helicopter scene is not a palimpsest, it is a design. This case is really simple. The rods, which Hesire holds in his hands are key to the solution of the layout. The Golden Section is definitely involved. The mystery deepens, when we observe how the giant ground drawing of a monkey from Nazca, Peru is identical to the Athena Engraving in that it uses the same starting configuration, and encoding system. What emanates from our seemingly primitive subjects of study is abstract and elaborate scientific thought - enough evidence in fact, to force the conclusion that the creators of La Marche, and Nazca were part of the same agency. It appears that they worked on the same project - to provide legacy spanning the Old and the New Worlds across the gulf of millenia. A stone tablet from Stone-Age France, and a prehistoric glyph from a sun-baked desert in Peru share one original template. This is a unique geometrical figure, which seals the issue of existence of an advanced prehistoric agency. For want of a better candidate civilization from prehistory, I dubbed it "the Seal of Atlantis". Honestly, trying to present a hypothesis on the identity of this Agency would be mere speculation, although one thing is obvious, the longevity, and omnipresence of the Agency from at least 14,000 BP until at least 2,500 BP (pyramids), or even later, should Nazca Lines date into the first millenium AD. Considering the potential influence of the Agency bearing upon the modern times, perhaps, it might be a good idea to learn how to read the ancient code. Its importance may be of cosmic proportions.. Interesting art - an eye of a monkey, a sol spinning off balls of fire... Did I author it? Absolutely not! Whoever did the Nazca monkey, must have had this on the drawing board once, as well. The glyph of the monkey is much simpler than the Athena engraving. Its structure seems to focus on recording the fastest method of how to construct the regular 5-pointed star, the very same method which forms the foundation of the Giza pyramids. The rock shelter of La Marche near Lussac-les-Chateaux, southern France - a Stone-Age Academy? Early on, I had translated some elements of the drawing into the above configuration, in which a cone and a square are found superimposed over each other in some instantly visible harmony. The possibility of a logical explanation of the configuration wouldn't let me rest until I found it a couple of months later. * The identification of primitive geometric elements in the engraving came first. For better or for worse, these had been permanently fixed in position (and still are). * The big test came afterwards; was there a higher level, on which the elements connected logically? The odds were heavily stacked in favor of Chaos over Intelligent Design because that was the rule for prehistoric art. From the outset, the experiment was in no way under my control, it was searching in the dark for a surprise. Had I failed as expected, I would have written the whole thing off as educational fun. The consensus among critics insists that in any sufficiently complex drawing some order will be discovered, which could be construed as intelligent despite being unintentional! Therefore, critics equate involuntary, accidental natural order to intelligent order. They insult true intelligence by elevating an earthworm's intelligence to the same level. Understanding the axiom that a random act will produce a weak, random order, at best, and witnessing the great theoretical depth of the Athena Engraving, should clarify that the two are not alike. Finding the solution to the Cone & Square configuration was the critical breakthrough to a real discovery. At the time, I had no idea that it emerged right into the center of a great controversy with topics like the Golden Section & Antiquity, Advanced Mathematics in Ancient Egypt, Lost Science, Lost Advanced Civilisations, and Alien Visitations. Magdalenian science-art is where the mystery begins, but where it ends, nobody knows. The geometric creations within Athena's torso belong to the Square, the second part of the basic Cone & Square configuration. Here we see the “Pyrostar” configuration. Boundary lines form the simplest aspect of the image - the "Frame". The distances between adjacent points of the Frame in millimeters give a set of thirteen whole numbers. It is a Smart Set, enough to show off advanced knowledge of properties of numbers, Pi, Phi, Equinoctial Precession (mathematics and astronomy), as well as ability to produce brilliant logical puzzles.. Sadly, the very act of analyzing a set of numbers for rational meaning will elicit charges of indulgence in Numerology & Witchcraft. Yet, the Frame is a perfect illustration of what is not numerology! Numerologists apply analysis to random data, and then blatantly misinterpret their results, as revelations of hidden meaning. In contrast, the Frame smashes all records in the amount of thematic rational meaning compressed into such a small group of numbers. There is no way to improve it. It is patently artificial. The following classic approximation of Pi appears seven times! 355 / 113 = 3.141592.. The Frame encodes the rate of equinoctial precession at par to today's state-of-the-art measurements. This fact suggests that the rate has not changed much at all since, a valuable tidbit of information. It took modern instruments in the hands of scientists to arrive at this value. What did it take in prehistory? If the image seems too big for this page, look again. It is not nearly big enough. The panoramic view does not even span the Trilithon, the three blocks of stone in a row on the west-side of the Baalbek Terrace. They are in a class of their own, by far the heaviest stones ever transported on this Earth - Super-cyclopean, Hyper-colossal, Über-duper, or a term of your own, take a pick. The block on the right steadies the Jupiter's temple. The temple looks Roman, the platform looms alien. We know that Romans built the temple, but archaeological opinion also credits the blocks to Roman achievements. Yet, there are some hefty reasons, and some very small, but telling details, which put the orthodox academic platform on shaky ground. The blocks must be thousands of years older. Is the technology of the prehistoric agency which left us La Marche engravings, and Nazca Lines behind their anomalous existence? Another La Marche engraving. It is known as one of strange La Marche engravings of headless obese females. Of course, the strangeness is due to the perception being utterly wrong. There are so many other things to look at. The obese woman without a head is an illusion. Below: A couple of impressions from another La Marche engraving. The Oldest Image of a Horseman? also dating back to the Magdalenian period of the Old Stone Age. World's Oldest Image of a Gunfighter? Stéphane Lwoff was under the impression that this guy was dancing. I took the liberty of re-orienting his drawing, and suddenly, the stance looked natural, what with the figure's feet firmly planted on the ground. The overall shape of the famous 'Face on Mars' in terms of geometry is a stack of three Golden Rectangles. I stand by this result, whether it is an accident of nature, or not, the formal coincidence is there.. It's not complex enough, however, to warrant a jump to conclusions about its artificiality. Fostering love of mathematics is a calculated risk..